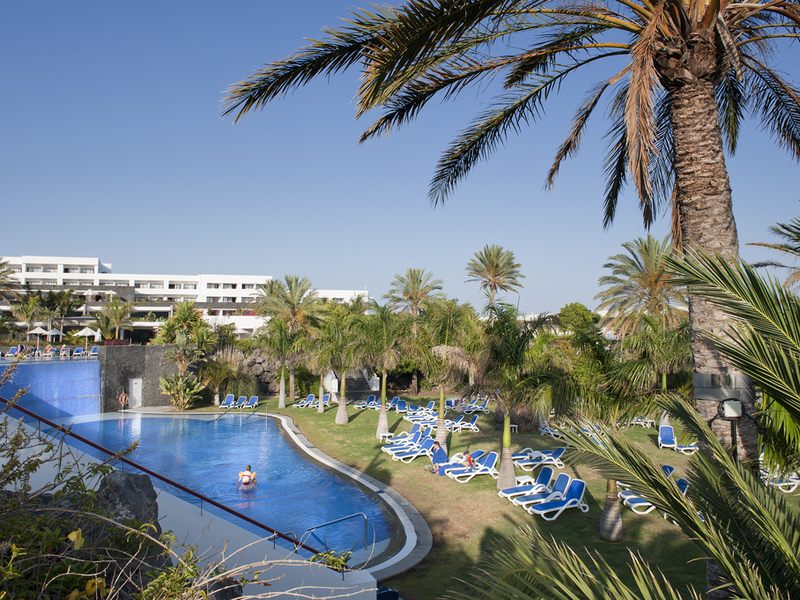 If you’re looking for an incredible panoramic setting and amazing sunset vistas overlooking the Puerto Calero Marina, Hotel Costa Calero Thalassa & Spa is highly recommended. Set along the glittering coastline of the Atlantic and with views over the stunning local harbour, this 4-star property has an enviable location. 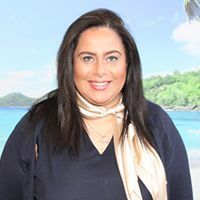 Equidistant from the famous Playa Blanca and the bustling seaside city of Arrecife, Puerto Calero is a truly glamorous part of this beautiful island, with easy reach to some of Lanzarote’s biggest tourist attractions. Locally, you can explore the dazzling marina, a very glamorous section of the coastline and often a magnet for discerning travellers. Nearby, you will also be able to indulge in a little boutique shopping or find some amazing restaurants and bars just a short walk away. A free shuttle is provided several times a day to the beaches of Puerto del Carmen, and less then 5km away is the famous Timanfaya National Park. So you’ll be able to enjoy the very best of Lanzarote’s awe inspiring natural landscapes. On site the hotel grounds, guests will be able to make full use of the 4 outdoor swimming pools which are surrounded by exotic and fragrant gardens, the sun terrace complete with parasols and seating, the spa centre with sauna, the indoor pool area, or the fitness centre which features modern gym equipment for guests to use at their leisure. 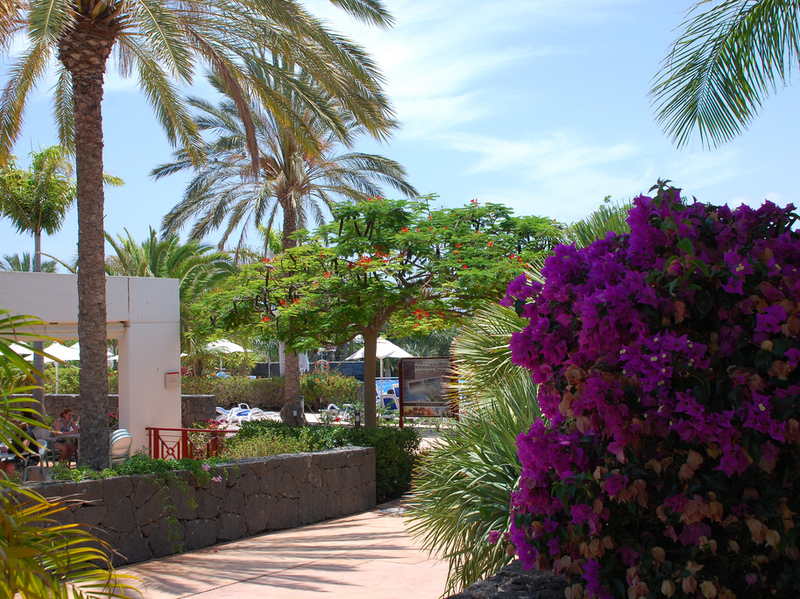 When it comes to gastronomy, there are a number of choices for food and drink; enjoy a family friendly buffet and authentic Canarian specialities at La Magdalena Restaurant, show-cooking or al fresco dining at Oyambre Restaurant, or grab a few island cocktails with live entertainment at Bar Matalenas. 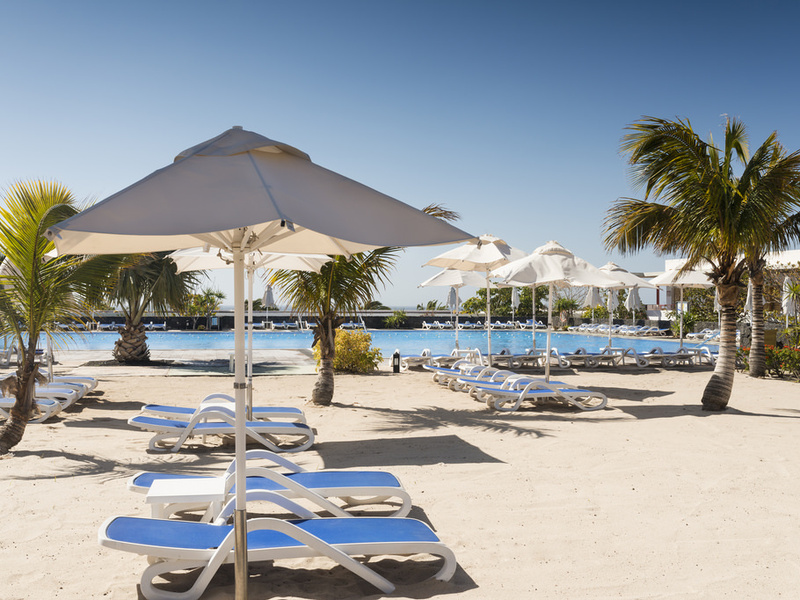 There’s plenty to do both day and night within the resort but for those who wish to explore the local area, there is promenade lined with bars and eateries just 350 yards from the hotel. 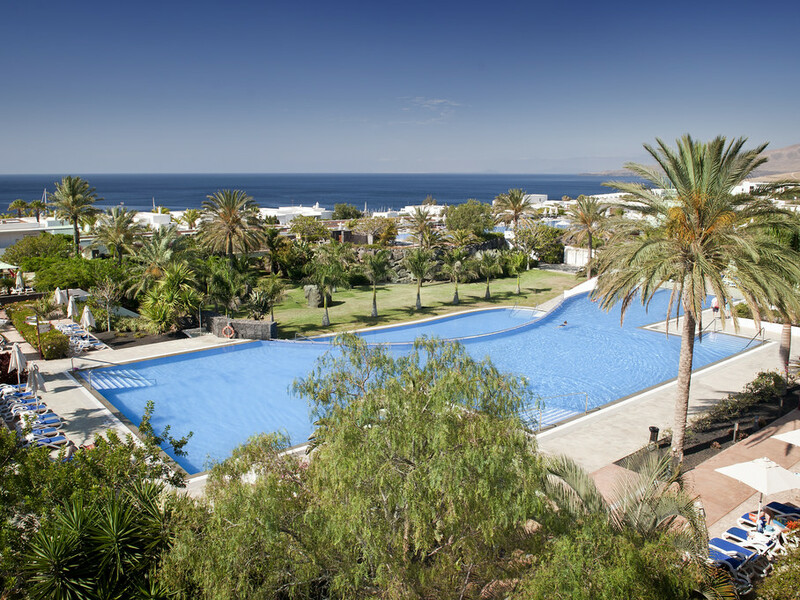 Hotel Costa Calero Thalassa & Spa also has a scuba diving centre on site, and the nearest golf course (Lanzarote Golf Club) is just 15 minutes away by car. For island excursions, head to Arrecife’s ferry port (25 minutes away) for regular departures to Gran Canaria. 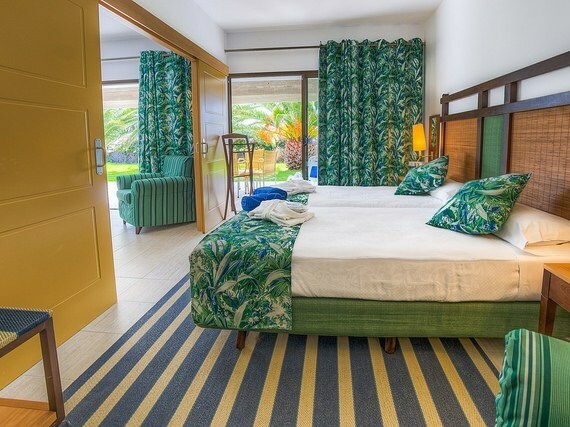 Hotel Costa Calero offers a choice of inviting ocean view rooms, spacious suites or interconnected rooms to suit families and groups. From romantic breaks to summer holiday getaways with children, there’s something to suit everyone. All rooms are simple yet stylish, offering good levels of comfort with all the modern amenities you could need during your stay. Fresh colour schemes create a vibrant yet relaxing space and balconies come completely furnished so you can soak up the views in the privacy of your own chamber. Additional beds can also be arranged. 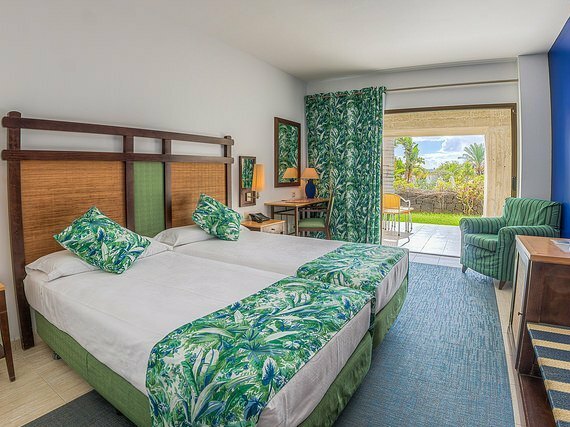 All rooms at Hotel Costa Calero include as standard: Twin beds, Furnished balcony, Air conditioning, Modern bathroom, LCD TV, FREE WiFi, Hairdryer, Mini fridge and Safety deposit box.